I am always felt nostalgic about those games that we play during our time (60s). Back then, we are poor and have not much of toys to play with. 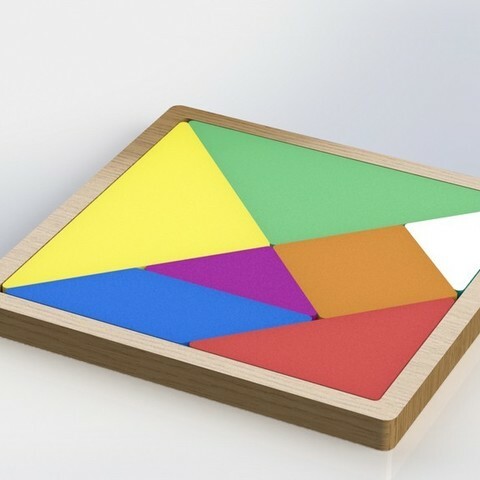 This Tangram, although was not as popular as Lego, but was intuative and mind thinking as anybody could imagine. There were only 12 thingiverse members posted the tangram. Being the 13th member, I added a tray to house the 7 pieces together. 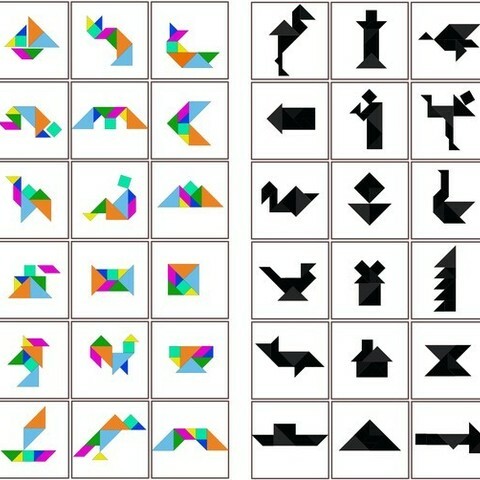 You could google "Tangram" for images and will see lots of styles and patterns you could think of. Have fun and print a copy for your kids (4 and above) to play with. For those with MakerBot Replicator 2 or 2X. Print with 0.3 layer height will do. I have filleted the edge of each corner with 1mm radius. So your printing should be smooth. Post me any comments if you need to know.